Here you can find Nano Glass 3CM Polished Marble Slab 3CM Nano White Marble Stone. 3CM Nanoglass also called Nano crystal stone. 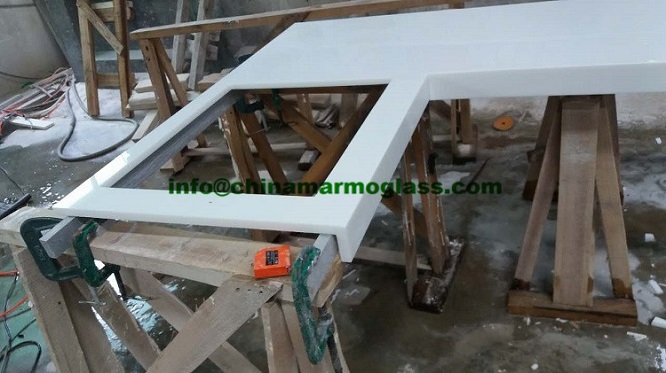 Crystal White Stone Tiles/Marmoglass for Walling, Crystallized Stone, Nanoglass, Marmoglass Wall Tiles,can be processed into slab, tile, countertop, column and vanity top, wash basin and etc. It is applicable for flooring, interior and exterior wall cladding, stairs and table. Contributed to the character of no color difference, so it is widely used for top grade hotel, business building shopping mall and such great construction.